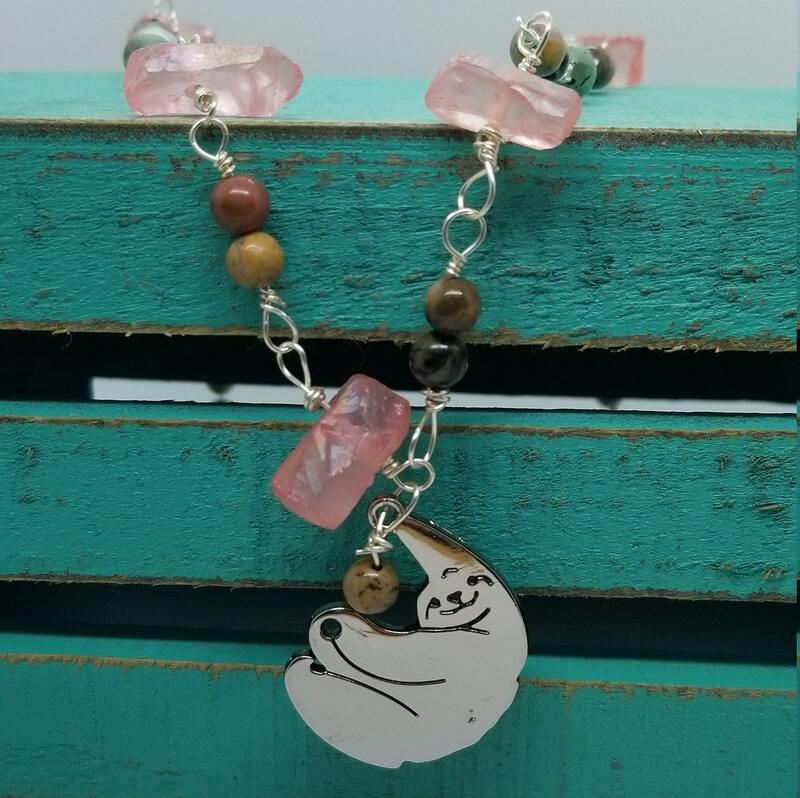 Beautiful hand linked gemstone chain with an adorable sloth pendant to remind you to slow down and enjoy the present moment. Pink Quartz is a Heart opening stone that aids the heart chakra. 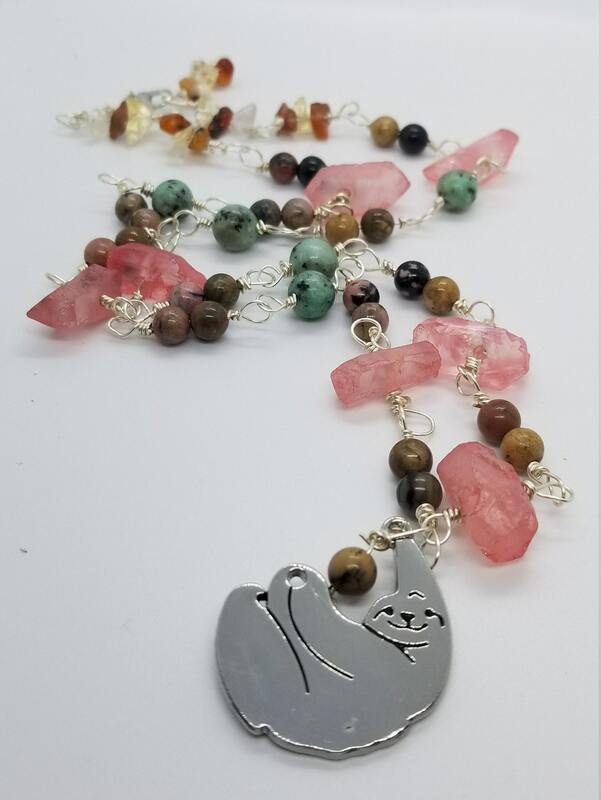 This stone is known for its emotional and internal healing. Ocean Jasper encourages joy and lifts spirits. Releasing negative energy it will aid communication and self understanding. Lotus Jasper is a stone of protection. Jasper is known as the "Supreme Nuturer " providing harmony and balance. It is also known to help with tissue regeneration. Choose between Sloth or Feather charm.